"For those of you who combine an Apple computer with a phone powered by Windows Phone, there's a new version of the Windows Phone 7 Connector for Mac available to download from the Mac App Store." 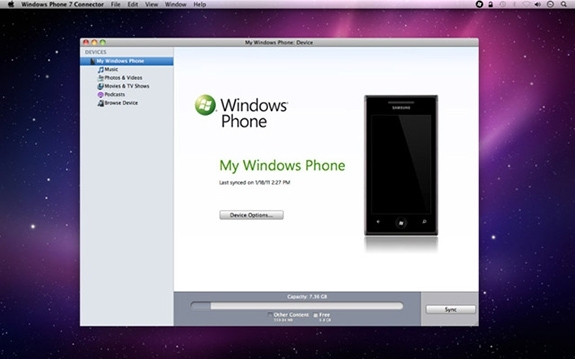 An updated version of the Windows Phone 7 Connector for Mac is now available in the Mac App Store. In addition to numerous bug fixes, the updated version brings support for 13 new languages and other additional features. If you are the owner of a Windows Phone 7 device and run it on a Mac, make sure to make a visit to the app store and download the update. I'm sure that the two Mac users who have a Windows Phone will appreciate this.